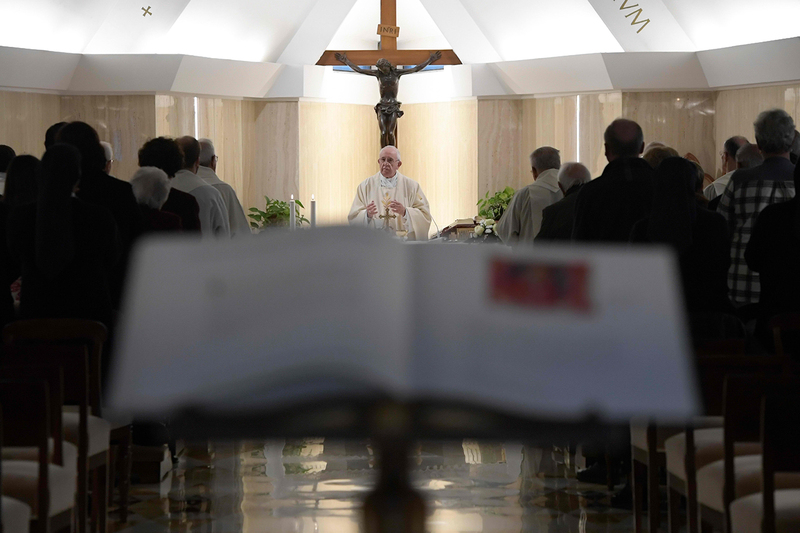 VATICAN, November 10, 2018–The sacraments are gifts from God that are given freely and are not a way for the church to fill up its coffers to cover expenses, Pope Francis said. In his homily at his early morning Mass Nov. 9, the pope reflected on the day’s Gospel reading from St. John, in which Jesus drives the money-changers and merchants from the temple. “Take these out of here and stop making my father’s house a marketplace,” Jesus said. “This calls for our attention and makes us think about how we treat our temples, our churches; if it is a house of God, a house of prayer, of encounter with the Lord” or “if it resembles a marketplace,” the pope said. The pope also warned that the temptation of worldliness that can turn a solemn celebration of the sacraments into a social gathering. 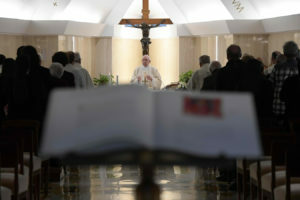 Recalling St. Paul’s first letter to the community in Corinth, in which he states that the heart is a temple of God, Pope Francis said Christians today should search their hearts and ask themselves which master they truly serve.